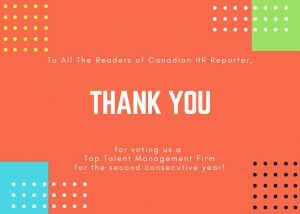 On behalf of the entire Optimum Talent Team, thank you to all of our awesome clients for voting us a Top Talent Management Firm for the second consecutive year. We love what we do and look forward to continuing to supporting you. We have some exciting things planned for the second half of 2018 so let’s connect soon.